When it comes to the Galactic world of Star Wars, the more characters you have to play with, more fun it is. 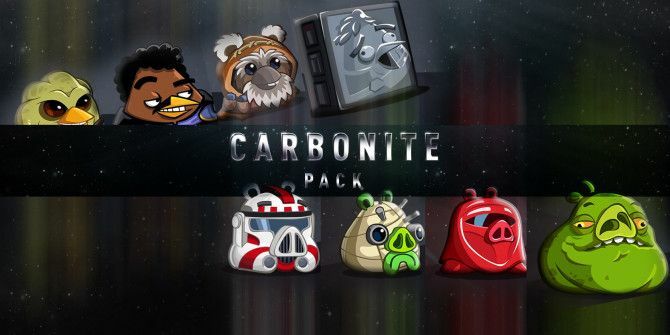 The new Carbonite pack for Angry Birds Star Wars II now features eight new characters from the movie franchise – or more accurately, six classic characters and two bonus ones just to make it more interesting. The bird-fling game sees the return of the coolest of them all; you can now play as Carbonite Han Solo and go up against Jabba the Hutt. The total roll-call of characters in their various avatars of pigs and birds read: Carbonite Han Solo, Jabba the Hutt, Wicket the Ewok, Lando Bird, Royal Crimson Guard, Tusken Raider, red Clone Trooper, and Jedi Knight Kit Fisto. The Galactic balance has been kept with the inclusion of four pigs and four birds. You can start playing immediately for free and each character has their own bonus levels. Fling them around and earn points to level up, or you can take the purchase route. You can also buy them as telepods. The Carbonite Han Solo is just as dynamic. The update is on and you can get it on iOS or Android. Explore more about: Angry Birds, iPhone Game. Oh it is. I have included the links.